Background story: Quality not with-standing, it's a classic moment in Ramones history. This was the first time ever that 6 Ramones participated in a promotional event together. The album, "RAMONES - ANTHOLOGY", deserved it. Upon my arrival, I was stunned to see that Tommy Ramone was there. 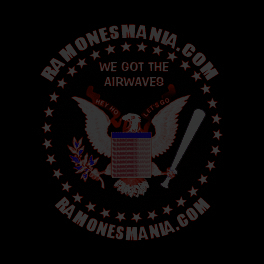 Get A FREE Ramonesmania.com Screen Saver!